Dalby Bio-Refinery Limited (DBRL) produces ethanol from locally grown red sorghum, which is then used as a blend for petrol. The DBRL plant is the first of its type in Queensland and has been producing ethanol since 2005. DBRL was seeking approval to install a dryer at the site to improve production at a cost of $15 million (AUS). Air quality was a key issue raised by the regulator. 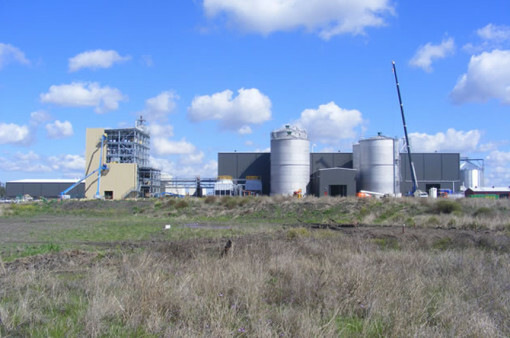 Katestone was commissioned by Mark Rigby and Associates, on behalf of DBRL, to conduct an air quality study of the bio-refinery to support amendment to the facility’s environmental licence to allow installation of a dryer. It was important to show the regulator that the proposed dryer and the changes to the environmental licence would ensure that the facility was appropriately regulated and that it would not adversely impact air quality in the surrounding environment. Mark Rigby and Associates incorporated the air quality dispersion modelling report into the licence amendment application for the DBRL facility. Katestone’s thorough and clear analysis of the air quality issues and the concise and easy to understand report contributed to fast and effective negotiations with the regulator. The amendment application was granted within three weeks of submission ensuring that DBRL could proceed with the purchase of a dryer. If your company or client is looking to amend its environmental approval, licence or authority, please feel free to contact us and find out how we can assist you.